I really enjoyed this project, it got me to look back at old photos that I haven’t seen in years and it brought back some of my best memories. In math class we learned how to find the lowest common multiple (LCM) and greatest common factor (GCF) using prime factorization. Essentially prime factorization is all of the prime factors of a number that multiply together to create the whole number. 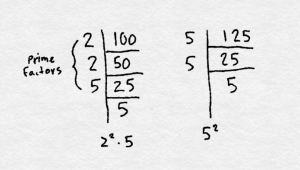 LCM: Lowest common multiple is a number which 2 numbers can evenly be multiplied to, ex. 4,6. 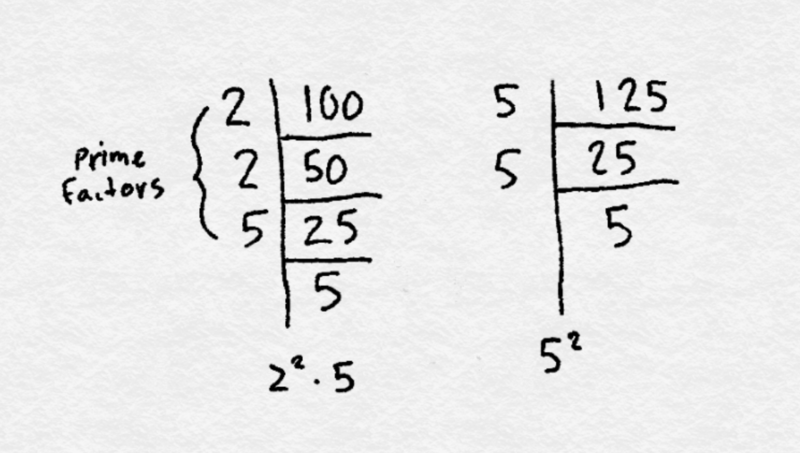 The lowest common multiple of 4 and 6 is 12 (4×3=12) (6×2=12). In a) the under lined numbers are all the prime factors, in b) the numbers along the left side of the line are the prime factors. 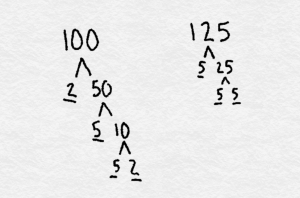 In both a) and b) they show the 2 methods of prime factorization that we learned in class. This step is not showing how to finish finding the GCF or the LCM. This project wanted us to find a different way aside from prime factorization to solve GCF and LCM. The method I used to find the greatest common factor and lowest common multiple is by finding and listing all of the divisible factors of the 2 numbers and comparing to see the greatest common factor. To find the lowest common multiple I took 2 numbers and multiplied them in order starting from 1- 6, although this method doesn’t use prime factorization to do it was still successful. 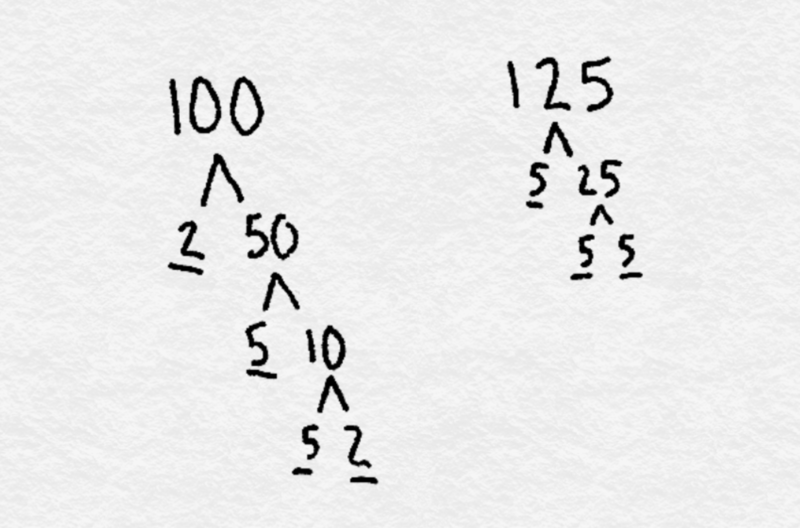 Even with this new method I would still prefer to use prime factorization to figure out LCM and GCF, in my opinion it is easier to find LCM and GCF using prime factorization. Today in class we did the bubble gum lab. My hypothesis was supported because gum B or Big league chew was the gum that stretched the furthest and was blown the largest. How does the gum stretchability relate to the bubble size? 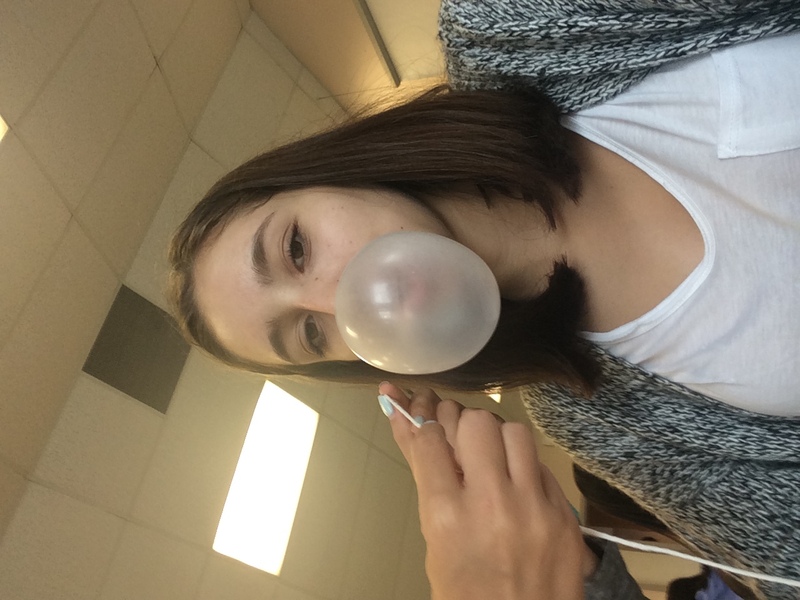 In order for a bubble to be blown, the gum must be very stretchy. 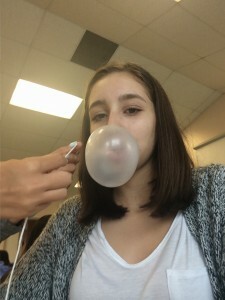 The more stretchy the gum is the bigger the bubble size will be. How long ago the gum was chewed. The temperature/ moisture of the gum. If both partners participated in the chewing of the gum vs. one partner alone. How long the gum was chewed for, ex. 1 minute appose to 4 minutes. Explain how the data you collected can be described as both qualitative and quantitative. Gum B was stretchier then gum A. Gum B was longer then gum A by 2.86cm. Were SI units used in this lab? explain. Yes, I used Cm to measure the diameter of the bubble, And Cm qualifies as SI units.